Please note that the content of this book primarily consists of articles available from Wikipedia or other free sources online. 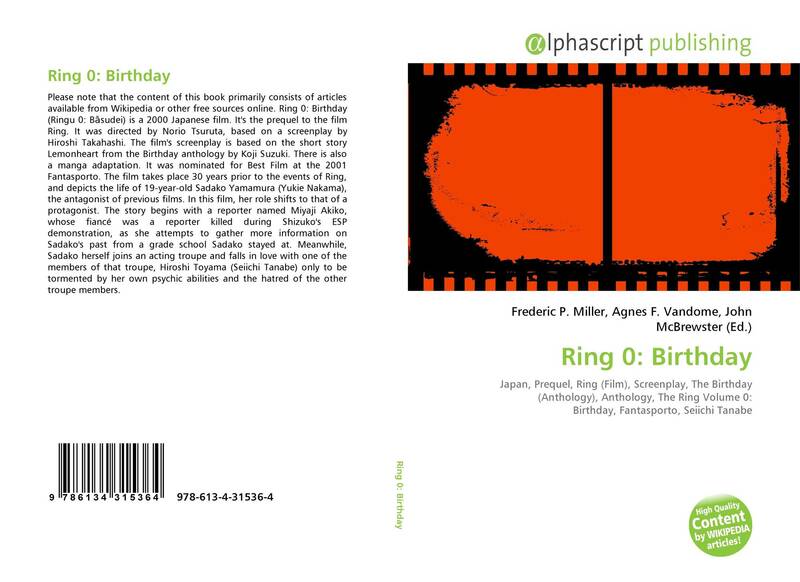 Ring 0: Birthday (Ringu 0: Bāsudei) is a 2000 Japanese film. 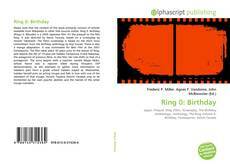 It's the prequel to the film Ring. It was directed by Norio Tsuruta, based on a screenplay by Hiroshi Takahashi. The film's screenplay is based on the short story Lemonheart from the Birthday anthology by Koji Suzuki. There is also a manga adaptation. It was nominated for Best Film at the 2001 Fantasporto. The film takes place 30 years prior to the events of Ring, and depicts the life of 19-year-old Sadako Yamamura (Yukie Nakama), the antagonist of previous films. In this film, her role shifts to that of a protagonist. The story begins with a reporter named Miyaji Akiko, whose fiancé was a reporter killed during Shizuko's ESP demonstration, as she attempts to gather more information on Sadako's past from a grade school Sadako stayed at. Meanwhile, Sadako herself joins an acting troupe and falls in love with one of the members of that troupe, Hiroshi Toyama (Seiichi Tanabe) only to be tormented by her own psychic abilities and the hatred of the other troupe members.